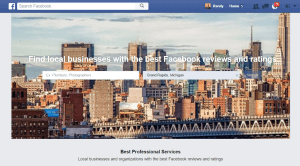 Facebook is now giving your potential customers the chance to search for your local businesses and get instant results for the best Facebook reviews and ratings in your category. If you have been procrastinating getting involved with Facebook now is the time! Get your page up to date and showing up when potential clients search for your business type. Need help setting up your page? Give us a shout. We can get your page optimized for search and give you pointers for page management as well. Too busy to maintain your business Facebook page? Ask about our page management programs. Want to take things up a notch? Check out our Facebook advertising program. We just helped a client book 6 months worth of service in a single day from Facebook ads.